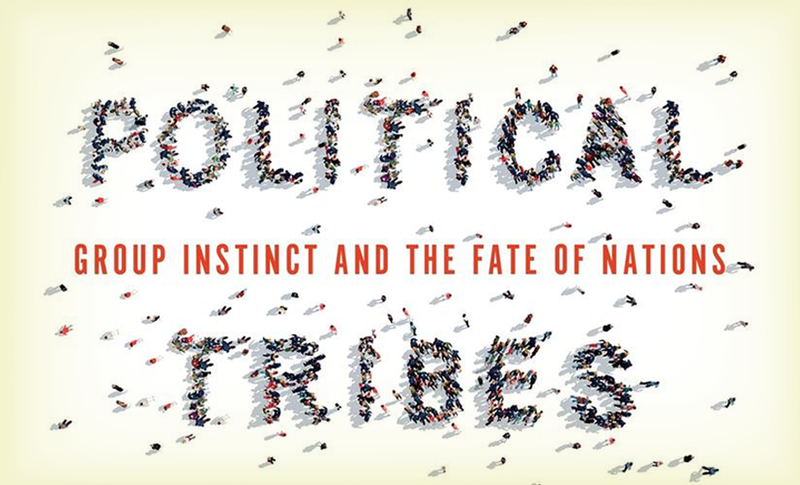 Amy Chua, Political Tribes: Group Instinct and the Fate of Nations. New York: Penguin, 2018. 304 pages. Amy Chua, a law professor at Yale University, is one of the chastened “cosmopolitans” whose political loyalties are on the centre-left and who are trying to explain why the centre-left is in retreat in much of Europe and North America. Among the most prominent in this “tribe” are Paul Collier (Exodus: How Migration is Changing our World), David Goodhart (The Road to Somewhere), Mark Lilla (The Once and Future Liberal), Thomas Piketty (Capital and Brahmin Left vs Merchant Right), and Joan Williams (White Working Class).1 Like the others, Chua’s book is critical of conventional wisdom on the left. Again like the others, this is a book attempting to reach a wide audience beyond academia. Chua and her colleagues share two core ideas. The first is a critique of centre-left governments of the last quarter century – think Clinton and Blair – that did not respond adequately to rising income inequality. These governments refused to acknowledge that globalism, the rise of China as the world’s leading manufacturing country and large-scale low-skill immigration are part of the explanation for growing inequality. The inhabitants of multicultural cities like Toronto, New York and London have benefited from these trends, but elsewhere many “tribes” within high-income countries have not. Their economic stagnation became more acute in the wake of the 2008 financial collapse, which itself is attributable in part to centre-left governments too accommodating of financial institutions. The second core idea is that the left in power, however well intentioned, has contributed to its electoral disarray through the manner in which it has championed selected disadvantaged minorities at the cost of excessive denigration of national majorities. The minorities championed include immigrants fleeing badly governed violent states in Latin America, the Middle East, South Asia and Sub-Saharan Africa; indigenous groups in “settler” societies from Oceania to Canada; and – albeit not a minority – women. 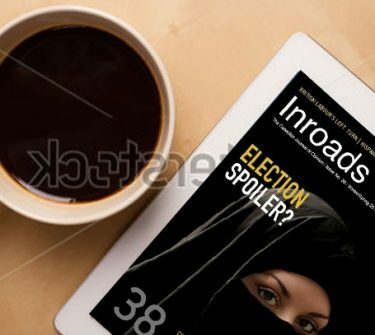 An inherent tendency of identity politics as practised by the left is to ignore dysfunctional internal dynamics within minority groups – recall the reluctance of many on the left to grapple with Islamic extremism – and to explain these groups’ (often substantial) economic disadvantage as a consequence of majority discrimination. Her thesis is the ubiquitous presence of “political tribes” whose members define themselves by some combination of religion, language, ethnicity and social class. The above passage is an introduction to her conclusion that the left’s use of identity politics has contributed to the emergence of a white American tribe. 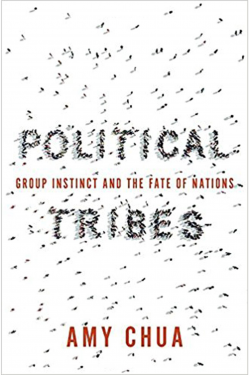 The key criteria that define a political tribe, whatever they are, will also serve to define members of other tribes. If belief in a particular religion is a criterion, those who subscribe to another religion or another sect of the same religion will usually define themselves as a separate tribe. With only rare exceptions, members of one tribe mistrust members of other tribes. Five of eight chapters are devoted to case studies intended to illustrate how ideological faith in liberal democracy among the American elite led to failure. One of these chapters deals with Vietnam, three others discuss the more recent cases of Afghanistan, Iraq and Venezuela, and a fifth chapter explores the tribal appeal of jihad among young Muslim men. Only her last two chapters treat politics in America, where she does not add much to what others have said in discussing American political polarization. Unlike post–World War II American elites, she notes, leaders of the most successful colonial powers, Britain and France, studied anthropology and history. They understood the role of political tribes and, by mediating among them, succeeded with minimum armed force in governing much of the world over the last 300 years. In the 20th century, imperialism went out of style, replaced by two competing ideologies: communism, some version of which was endorsed by the radical left, and liberal democracy. By the last quarter of the 20th century, the centre-left idealized peaceful social democratic states that combined democracy, capitalism and generous social programs. As a utopian ideology, communism collapsed with the Berlin Wall in 1989. Three decades later, Chua argues, liberal democracy is in danger of collapsing too. Why? American leaders, the leading champions of liberal democracy, have allowed ideological blinkers to block appreciation of the fundamental human tendency to form competing political tribes based on ethnic differences. For a nation-state to survive, its governing elites must manage the inevitable conflicts arising from domestic political tribes. American liberal elites have seemingly lost this pragmatic requirement of governing. Intervention in Vietnam led to the worst military defeat in America’s history. Defeat was inevitable, she argues, because Americans analyzed the country in ideological terms, as a theatre for playing out the conflict between communism and liberal democratic capitalism. Before being a communist, Ho Chi Minh was a nationalist, a leader able to articulate the millennium-long hostility of ethnic Vietnamese to Chinese imperialism. This much is conventional historical explanation for America’s defeat. Chua adds a second dimension. Like the French before them, the Americans identified closely with the Hoa, the Chinese living in Vietnam. By the mid-20th century under French rule, the Hoa had become a “market-dominant minority tribe” that controlled much of the Vietnamese economy and had predictably generated deep hostility among ethnic Vietnamese. After defeating the Americans in 1975, the victors undertook aggressive ethnic cleaning. Little commented in America, five of six Vietnamese refugees in the late 1970s were of Chinese origin. That market-dominant minorities often generate a dynamic of majority hostility and subsequent backlash is the theme of her 2003 book World on Fire in which she described the politics of market-dominant versus majority tribes. It is an ad hominem observation, but Chua probably thought about this dynamic initially in the context of her family history. Her mother, born in China, emigrated when very young to the Philippines. Her father’s family belonged to the Chinese diaspora that dominated the Philippine economy. After World War II her parents emigrated to the United States, where she was born. In Afghanistan, both the Russians, who invaded in 1979 and left in disarray a decade later, and the Americans, who invaded in 2001 and are still embroiled, suffered from ideological blinkers. Both seriously underestimated the centrality of multiple ethnically defined tribal loyalties among Tajiks, Uzbeks, Hazaras and Pashtuns, the last being the most populous and important but not dominant in Kabul. At the height of the Raj, in 1893, the British had imposed the Durand Line as the western border of British India; post-1947, it became Pakistan’s western border. The line split Pashtuns between two countries – more Pashtuns live in Pakistan than Afghanistan – and Pashtun leaders have never considered the border legitimate. With the departure of the Russians, Afghanistan descended into the anarchy of competing warlords. As leader of the Pashtun-dominated Taliban, Mullah Mohammad Omar captured Kabul and brought a brutal Islamist version of political stability to much of Afghanistan. Post-2001, Americans naively believed that their ideological commitment to democracy would enable Afghanistan to emerge from Communism and Pashtun Islamist fundamentalism and evolve into a modern society. Seventeen years after the American invasion, Afghanistan remains politically unstable, its future – and that of Pakistan – highly uncertain. In the case of Afghanistan, Chua is too harsh on the Americans. The question to put to her is: What would she have done post-9/11 given the rise of Islamic sectarianism among Sunni Muslims across central Asia? The 2002 Loya Jirga chose Hamid Karzai, a Pashtun, as president. He tried but failed to stabilize the country, and the Taliban regrouped – much aided by the Pashtun presence in Pakistan and the Machiavellian politics in Islamabad and Rawalpindi. Her market-dominant minority thesis applies much more neatly in the case of Iraq, where the Americans acknowledged that Sunni Arabs constituted a dominant minority ruling over Iraqi Kurds and Shia. However, the senior team around George W. Bush naively believed that, with Saddam removed, Iraqis would create a viable democratic state accommodating the Shia majority and the two sizable minorities. Instead, Iraq descended into civil war. Ironically, the American “in country” military proved far more astute than their political masters in Washington in comprehending the nature of tribal politics. Employing traditional imperial divide-and-conquer tactics that had served the British and French, the post-2007 “surge” in American military involvement succeeded by 2010 in bringing peace to a tormented country. Admittedly, the peace was fragile, but most Iraqis acknowledged that it was superior to Saddam’s dictatorship. A relatively tolerant coalition led by a nonsectarian Shia won a narrow plurality in the 2010 national election. In explaining why the post-2007 surge succeeded whereas Donald Rumsfeld’s invasion in 2003 manifestly failed, Chua quotes General David Petraeus and the British Arabist Emma Sky. Petraeus holds a PhD from Princeton in international relations and wrote the manual on how to wage successful counterinsurgency in Iraq. Sky’s memoir of her career as adviser to senior U.S. military officers from 2003 to 2010 is the public account of the Iraq war from the perspective of the American military.2 She said publicly what the senior American military and diplomatic personnel in Baghdad could not: Bush’s team failed to understand the complexity and passions of tribal politics in Iraq – but so did Obama’s team. In his rush to exit Iraq, Obama enabled the sectarian Shia leader who narrowly lost the 2010 election, Nouri al-Maliki, to remain in office. Al-Maliki’s winner-take-all policies “unravelled” the accomplishments of the surge and drove many Arab leaders to make common cause with the Islamic State, which at its peak came close to capturing Baghdad. Its subsequent eviction from Iraq has been slow and bloody. In these final chapters, her argument parallels that of Joan Williams: the cosmopolitan liberal elite in America does not understand white working-class culture. For Chua, Trump is America’s Chávez. Chávez’s regular television program may have championed Latin American socialism; more important, it showed the majority a leader who consistently disparaged the Venezuelan “white” elite and identified with the poor. Unlike Venezuela, the American white working class is not drawn to socialism; its members approve of Trump’s paean to wealth. Trump may be a sexist millionaire whose family roots are far removed from his electoral base, but his reality television program and tweets have affirmed white working-class values and attacked the “deep state” of liberal technocrats and the cosmopolitan liberals who control Hollywood and elite media, in particular the New York Times and Washington Post. Worse, U.S. liberal elites frequently dismiss the white working class as inherently racist. Over the last quarter century, liberals have elevated the amorphous idea of white racism against minorities into the omnipresent fundamental evil that allegedly is frequently on display among Hillary Clinton’s “deplorables.” In this environment, aggrieved minority groups have proliferated and subdivided to the point that the left’s traditional plea for inclusiveness rings hollow. The majority among the white working class (those without college degrees) are in the process of forming an opposing tribe, and now vote Republican. In a discussion that resonates with me as accurate, universities display the problem in its starkest form. Almost any academic critical analysis of marginalized minorities risks being interpreted as racism. Chua concludes with an optimistic epilogue: the United States is a “super-group,” and hence unlike European nations constructed in terms of shared ethnicity and/or religion. A super-group is exceptional inasmuch as most of its members have historically been willing to welcome new members from foreign groups – provided they identify strongly with the shared American identity. She provides examples of American tolerance reasserting itself. In a note, she acknowledges that Canada may be another super-group, but its Quebec component is European in outlook inasmuch as it fears loss of cultural identity, and this hobbles Canada’s ability to erect an overarching national identity. As the conclusion of a book whose thesis is the importance of political tribes with a penchant for intertribal conflict, her epilogue falls flat. Why are America and perhaps Canada super-groups, and most other nation-states not? She admits that her evidence “could just be congenital optimism on my part.” Nonetheless, hers is a contribution to American self-analysis worth reading. 1 See my review of Collier’s Exodus, The Economic and Political Costs of Immigration, Inroads, Summer/Fall 2014, pp. 124–28, and Josh Gordon’s review of Williams’s White Working Class, Class Cluelessness and the New Populism, Inroads, Winter/Spring 2018, pp. 117–25. 2 See my review of Sky’s Unraveling, The Unravelling of Iraq, Inroads, Winter/Spring 2016, pp. 128–32. 3 See my article Will Bangladesh Go the Way of Pakistan?, Inroads, Winter/Spring 2017, pp. 99–107.